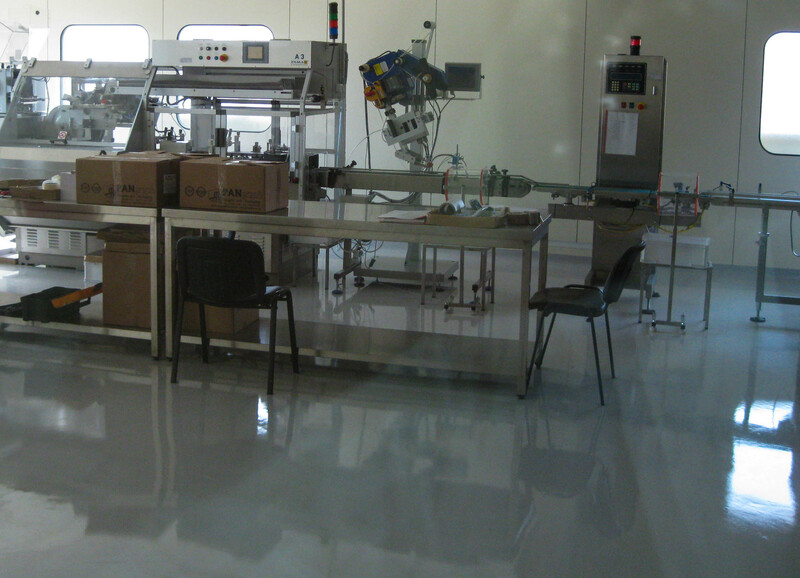 Contractors and suppliers of resinous flooring products are always looking for new industries for epoxy flooring. Obviously the most popular choices are the large carpark projects, malls , retail outlets and other large scale developments. The sheer size of such projects makes them attractive from a financial standpoint. The problem with such projects is a) that there are not that many of them to go around and b) an economic downturn can virtually put a halt on all new developments. There are however several industries that seem to have a never ending demand for epoxy floors. I have singled out my top 5 favourite industries for epoxy flooring. Companies involved in the production, packaging, or storage of foods undergo stringent safety checks. If they are looking to get any additional certificate like IFS or ISO 22000 they will need to have state-of-the art facilities. Their floors need to be resistant to chemicals, easily cleanable that do not allow the buildup of dirt and bacteria. 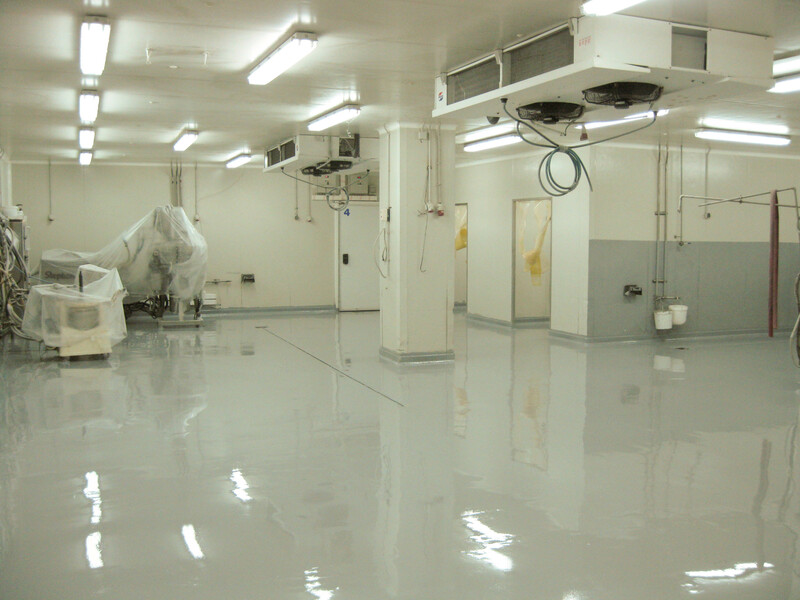 Apart from the floors, you can offer your client additional solutions like epoxy formed coves and epoxy coated walls. Food companies are also great return customers. You can expect them to be doing repeat business for many years in the future. Extra Tip: Target those rural and agricultural regions. Many food manufacturing companies are located in rural areas where it is hard to find specialized contractors familiar with epoxies. Industries that involve the use of high precision machinery (like lasers, cutting machines, CNC etc) have very high standards when it comes to cleanliness and dust control. If dust gets into the machines the equipment loses its precision. One of the great ways to control dust in an industrial environment is by installing a durable resinous floor. Special tip: High precision machines are quite expensive, and this means that the customer can easily budget a fraction of that cost for a high standard epoxy floor. Whenever I speak to clients in the pharmaceutical industry, it seems that they are always being audited. And frequent inspections means a constant need to have perfect looking glossy floors. Pharmaceutical production usually has the most strictest operation guidelines in any industry imaginable and this means that there are also very high expectations when it comes to their floors. Entering the pharmaceutical industry can be challenging, standards and expectation of the flooring contractor will be very high. But if you can get in, you will build high value and great client relationships for many years to come. Companies in the production and supply of packaging materials such as pails, buckets, stretch films, containers , wrappers etc. All these products need to be squeaky clean and dust free when they leave the factory, what better solution than installing epoxy floors. Hot tip: Packaging companies involved in supplying the food and pharmaceutical industries are required to comply with very high production standards. Another great reason to specify epoxy floors. If you have ever visited a printing facility you probably have noticed those massive palettes loaded with tons of papers, leaflets, brochures or other printing material. These massive loads are shifted around with pallet trucks causing enormous stress on the floor. A poor quality floor can easily cause damage to the concrete forming creating cracks and holes etc. Furthermore if ink drops on the floor it can erode the concrete. A high build durable epoxy floor is a great solution to such problems. So what do you think? Do you agree that these five industries pose great opportunities? What other industries would you recommend?